Use equal parts salt and basil. 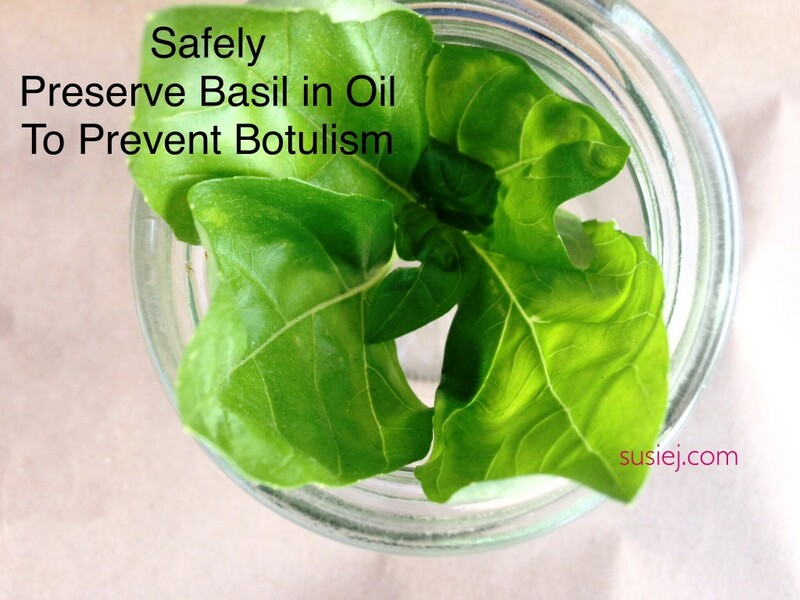 So, one cup of packed fresh basil leaves to one cup salt — or 1/4 cup basil to 1/4 cup salt. Use sea salt, Pink Himalayan salt or Kosher Salt— any salt, except the kind with iodine. Pulse the salt and basil together in your food processor into the salt takes on the green color of the basil. (Enjoy the smell!) If you are doing a small batch, you can use a coffee grinder. 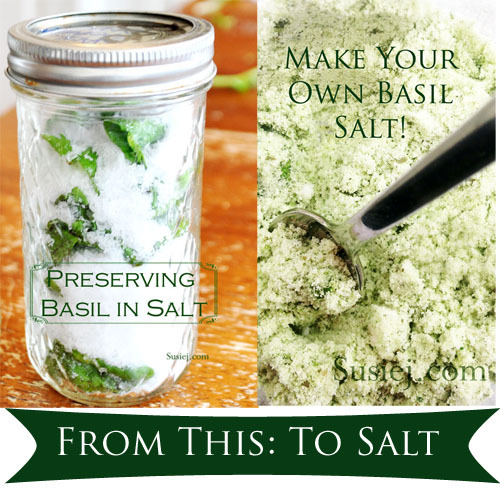 Now, you need to dry the salt out, now that it has absorbed the water from the basil. 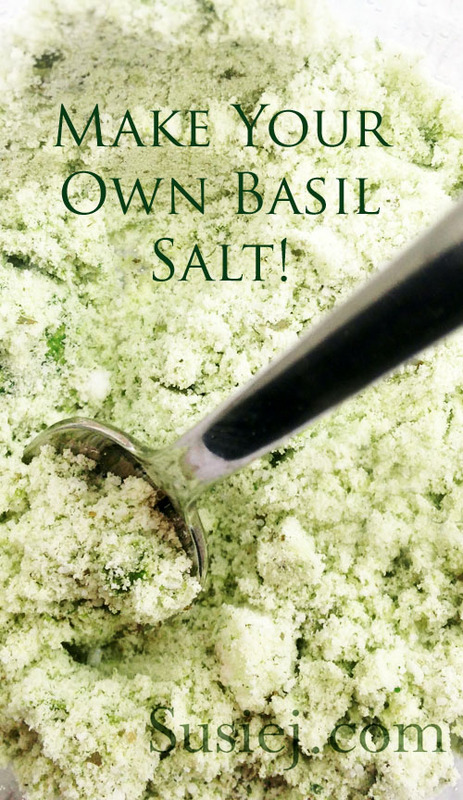 Spread the basil salt powder from your food processor onto a baking sheet. Bake for an hour. 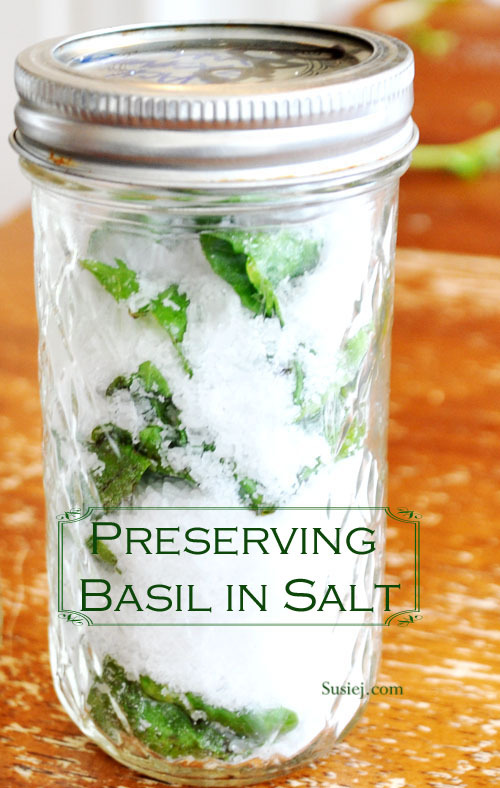 Let cool, and store in a glass mason jar, or an empty, clean spice bottle. Any suggestions on badil to salt ratio? And dies this need to be stored in freezer/refrigerator? THank you ! I started with a 1 to 1 ratio — but then, I added more basil to make it “greener.” And no refrigerator required. Salt is a natural preservative!